ELFA is an institute that is dedicated in mentoring and preparing aspiring actors and models to set their steps into the glamour world of tomorrow. Fitness, Dancing (Bollywood, Hip Hop and Bharatanatyam), Acting, Modelling, Pageant Grooming, Personality Development, Fashion Runway, Event Management, Photography are few of the areas in which we train our aspiring students. And after successfully creating a dent in the world of art and fashion, ELFA has turned its focus on training corporate professionals to become more than what they perceive possible. 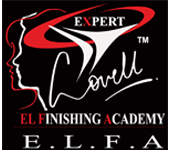 Elfa expert lovell finishing academy conducts classes in Acting, Modelling and Photography. It is located in Koregaon Park, Pune. It takes Regular Classes- at the Institute.